With Anthony Joshua’s next fight, set for December 10, still up in the air opponent-wise, a number of name heavyweights are calling for the next shot at the reigning IBF heavyweight title holder. With no decision yet given by the WBA with regards to whether or not the organisation will sanction a Wladimir Klitschko-Joshua fight, promoter Eddie Hearn has already been eyeing potential replacement foes for his fighter. And two men who have thrown their hat into the ring are Mexican/American Eric Molina, and fellow Brit David Price. At one point in time it looked as though Price and Molina would fight each other on the Joshua under-card in Manchester – and this intriguing fight could still happen – but now both contenders want AJ next. Price put out a Tweet saying how he is “coming to knock you out,” with his bold words to Joshua being accompanied by the statement, “done it before and I’ll do it again.” Price, two wins removed from his disastrous defeats at the hands of Tony Thompson and, more recently, Erkan Teper (both of whom failed post-fight drugs tests) is referring to the time, in 2011, when he and a still amateur Joshua sparred. 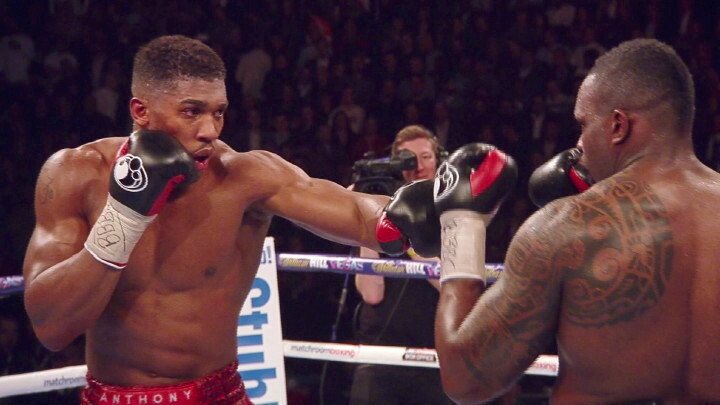 Price claims he flattened Joshua. Molina, coming off a useful away win over Tomasz Adamek, says he has been training for a fight with Joshua “for weeks now” and he insists he is the best choice for Dec 10. If there is no WBA approval of Klitschko-Joshua (and Hearn said yesterday he is not hopeful) it is up to Joshua and his team to pick a suitable challenger. Molina and Price both want to fit the bill.